“Stories of Wolves” by Filmmaker Elke Duerr is about the recovery efforts for our Mexican Gray Wolves, our most endangered land mammal in all of North America, our evolution of consciousness towards wild animals and our human-wild animal relationship. There only remain less than 100 wolves in the wild in Arizona and New Mexico. 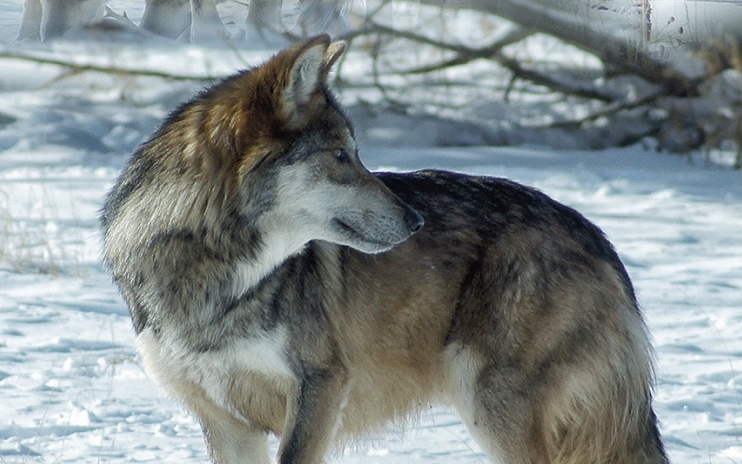 “The film has many sub-plots because of the dynamic relationship of the wolves to the various communities who now share the wolves” habitat: the ranchers, the conservationists, the Native American cultures, and the other animals who depend upon the wolves’ presence to maintain a healthy ecological system. Just as much as it is a film about wolves, it is also about the people of New Mexico, Arizona and the Northern hemisphere and our stand in keeping our wolves with us on this planet. “We come from love and appreciation for all the different life forms on this planet in the spirit of appreciation and interconnectedness. Responses to "“Stories of Wolves” a film about the recovery efforts of the Mexican Gray wolf"